Louis and Martha Johnson pastored in Iowa for 11 years, during which time he served as the district’s Conquerors secretary and president. In October 1989 they were appointed to Kenya. They taught in the Bible school and traveled throughout the country teaching pastoral seminars and preaching. In 1998-2001 the Johnsons were furlough replacements in Uganda for the Arlon Royers. In January 2001, the Foreign Missions Board granted their request to transfer to Burundi and Rwanda. Unable to secure resident permits in Rwanda, they served as furlough replacements for Randy and Theresa Richardson in Mauritius, Seychelles, and Reunion in the Indian Ocean while continuing to seek registration of the church in Rwanda and resident visas. 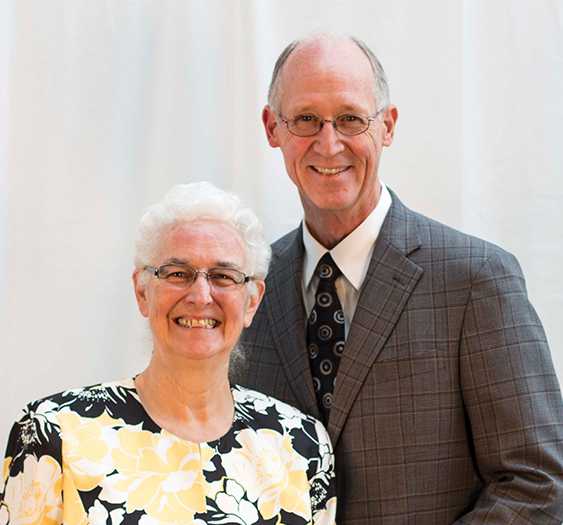 The Johnsons began to assist in reopening the church in Ethiopia in November 2005. In May 2006 their appointment was changed to Ethiopia and Rwanda. They moved to Addis Ababa, Ethiopia, in September 2006. Louis’s birthday is and Martha’s birthday is .